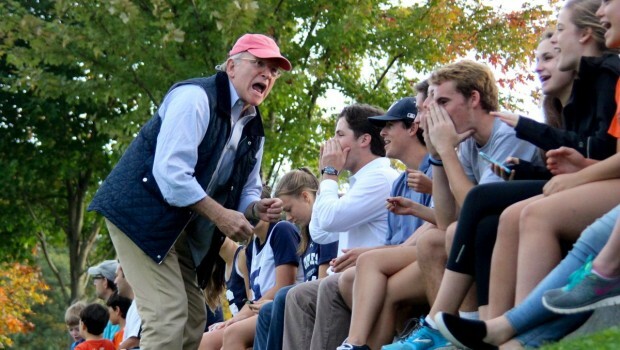 A memorial service for Jim Goodrich P’99, ’02 — Staples soccer’s longtime Superfan, and a beloved member of the high school community — will be held at Westport’s Unitarian Church (10 Lyons Plains Road) on December 1 at 11 a.m. A reception will follow at Saugatuck Harbor Yacht Club, 6 Great Marsh Road. Click here to leave condolences for the family. In lieu of flowers, donations in Jim’s memory may be made to Hudson River Community Sailing (P.O. Box 20677, New York, NY 10011; http://www.hudsonsailing.org); the Freedom of the Press Foundation (601 Van Ness Ave., San Francisco, CA 94102; http://www.freedom.press), or Staples Tuition Grants (P.O. Box 5159, Westport, CT 06881; http://www.staplestuitiongrants.org). 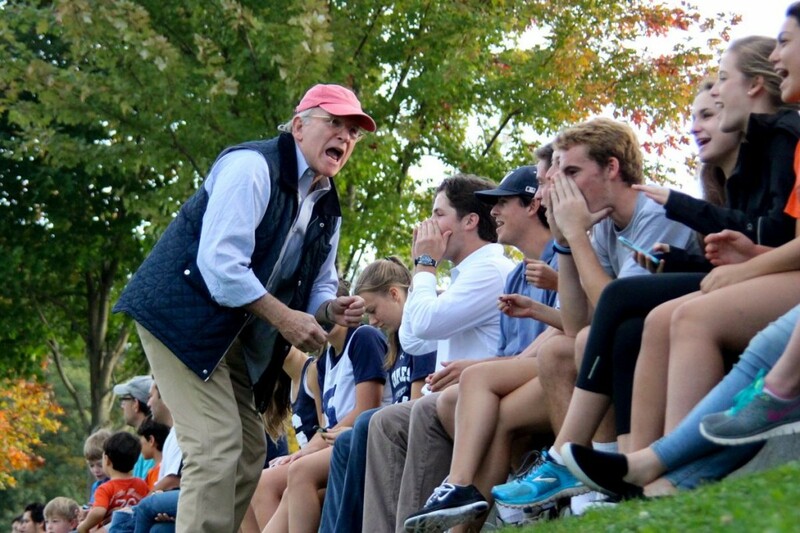 Jim Goodrich, urging Staples soccer fans to cheer on The Hill.